Want to get a taste of what it felt like being on the Titanic, sans the part where it sunk into the ocean? A restaurant in Houston is offering what it calls the Titanic Experience: a 10-course meal comprised of similar dishes served to the ill-fated ship's first class passengers the night they met their demise. Or at least that's what Cullen's, the restaurant, claims. Aside from the food itself, going for the Titanic Experience means you also get to dine at Macy's Table, the exclusive room suspended from the ceiling of the restaurant. 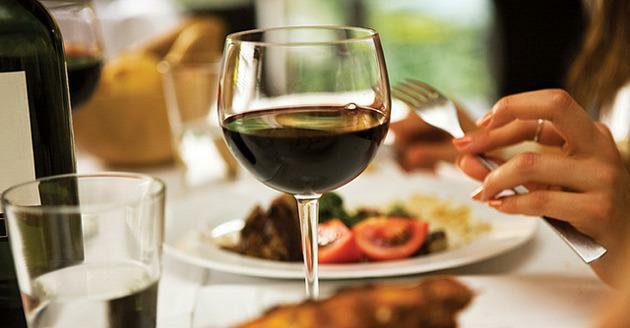 The whole event lasts for four hours, from the wine and beef appetizer to the after dinner cheese. To make the experience even more authentic, guests are given the chance to sample a bottle of Armagnac brandy from the year 1900 by the end of the night. Of course, a fancy dinner served with fancy liquor in a fancy room can't come cheap — the Titanic Experience comes with the sky-high price tag of $12,000. Thankfully, you can bring 11 friends with you, so you can at least split the bill. But when have you last plunked down $1,000 for one dinner? Cullen's special Titanic package was created to commemorate the 100th anniversary of the ship's sinking on April 15. Check out the restaurant's official website for more info if you have $12,000 burning a hole in your pocket.